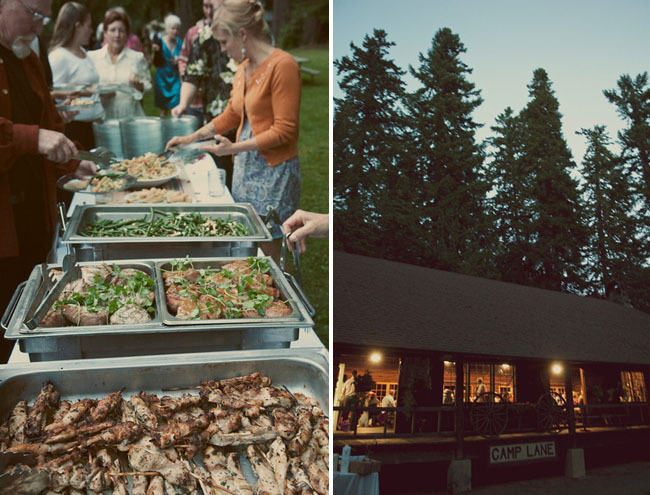 To start off the week, I have a super fun camp wedding to share with you guys. 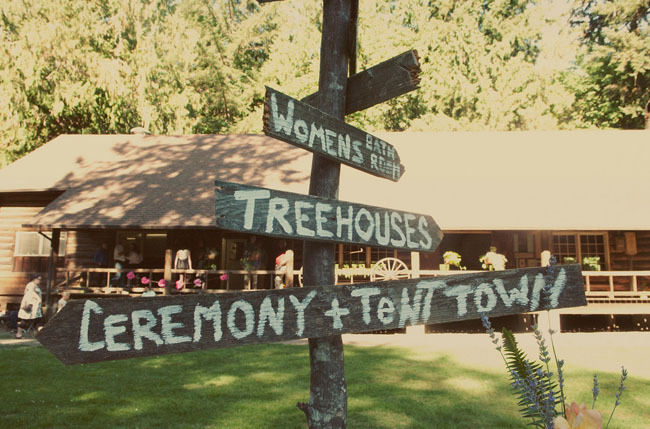 This wedding has the most unique (and fun!) bouquet toss I’ve ever seen. 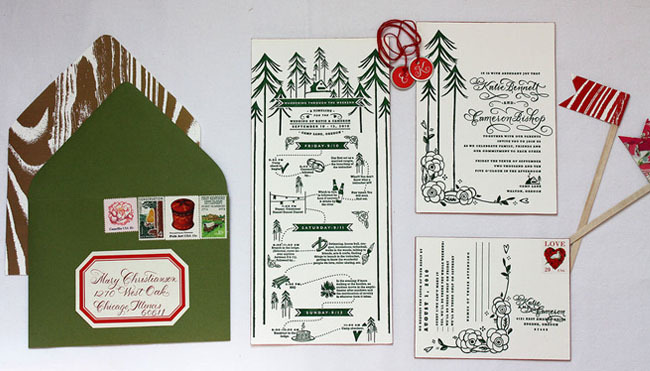 I’m also a bit obsessed with the invitations designed by our newest sponsor, Paisley Quill. 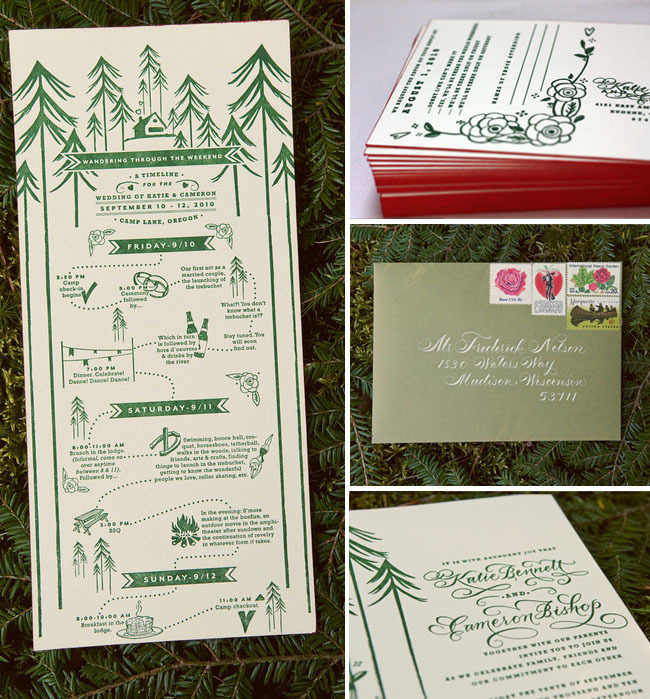 Letterpress, red edges, vintage stamps and the most beautifully designed wedding timeline you have seen! Thanks also to the amazing Kelty of Steep Street for sharing her photos (all photos by Kelty with the exception of the top two from Paisley Quill). Our wedding had a couple of elements that raised some eyebrows. In particular, the inclusion of a trebuchet (a medieval catapult) got some hilarious response. 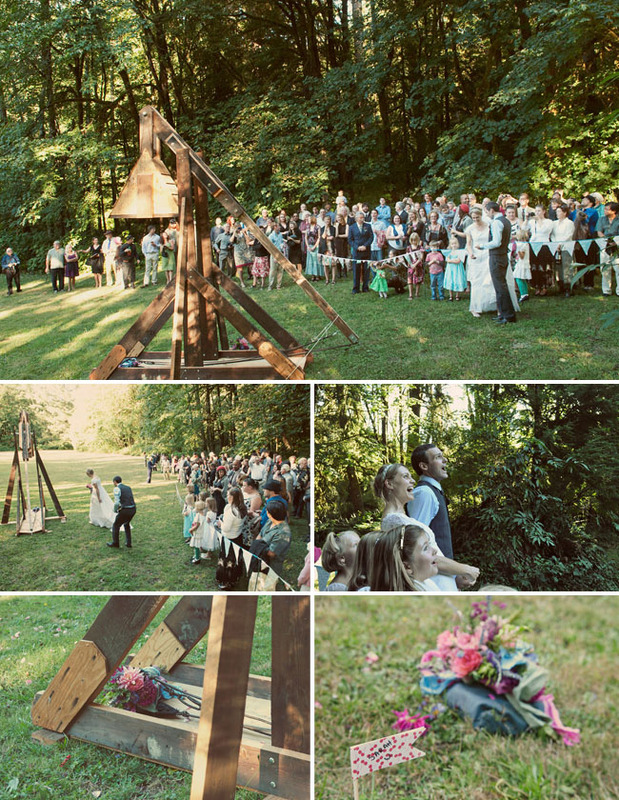 What does a trebuchet have to do with our wedding? Nothing (though we did make a game of coming up with cheesy slogans like “hurtling toward our future”), except that it was a ridiculous engineering feat for two science nerds to complete together. Among other things, we used it for the bouquet toss and it was fun, unique and very, very us. My wedding dress was an early 1970s handmade creation that I found at St. Vincent de Paul’s. Standing in the musty thrift store dressing room in my knee high sweatsocks, holding the back closed because it wouldn’t zip, I felt like I’d found a dress that would be fun to wear. With its empire waist and ghosty skirt (and once the mutton sleeves had been trimmed to cap sleeves) it had a very Pride & Prejudice feel — very appropriate for one of four Bennett girls. The invitations from Paisley Quill were beyond perfect. 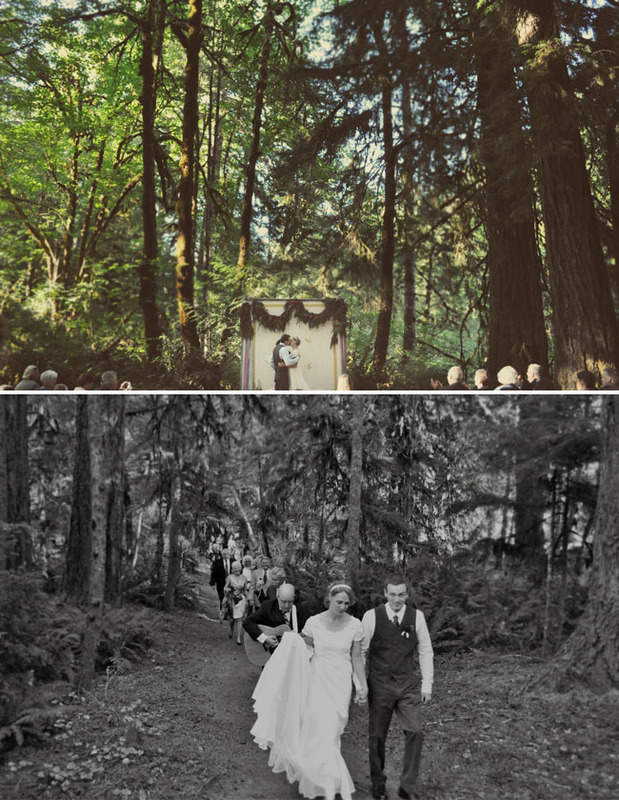 They absolutely set the tone for our fun, relaxed wedding amid the Oregon trees. 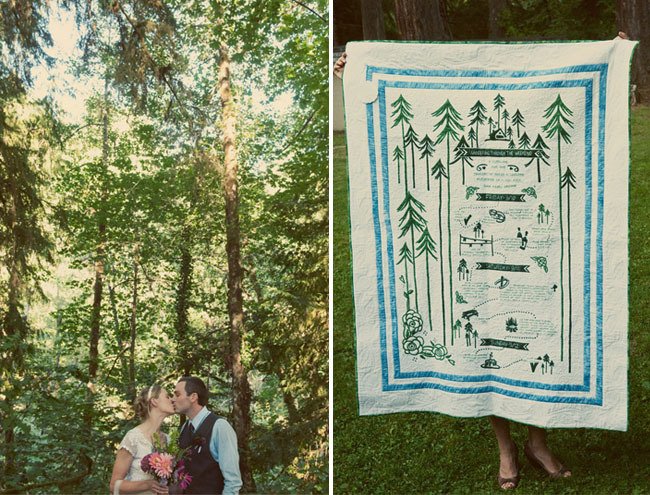 The timeline that Molly at Paisley Quill made was so perfect that Cameron’s Aunt Lory recreated it as a quilt — gifting us with a reminder of our wedding that we’ll treasure forever. Many of our decisions were dictated by a tight budget, but one thing we weren’t willing to compromise on was the opportunity for our family and closest friends to fully relax and enjoy themselves. With that in mind, although we’d bandied around the idea of self-catering, we hired caterers for the dinner on Friday night. We’re so glad we did! The food was lovely and our nearest and dearest were partying with us rather than scurrying around to serve the other guests. We did ask for family and friends to make pies, and did they ever come through! 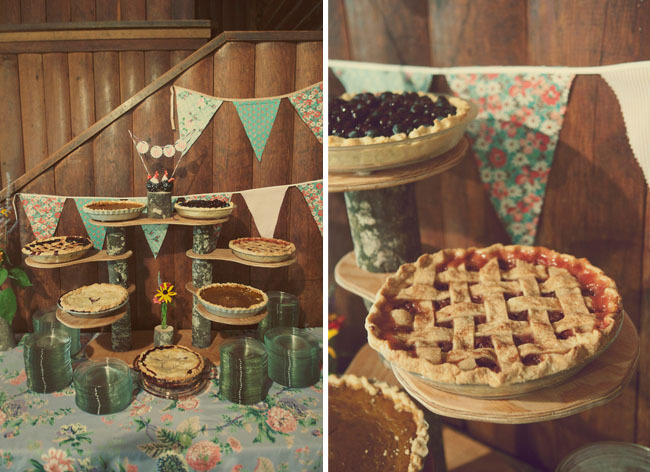 Most people chose to make them when Oregon’s berry season was at its zenith, freeze them, then bake the pies the day before or day of the wedding. The rest of our meals were simple: bagels, cream cheese, fruit and sliced meats with plenty of coffee were laid out for guests on Saturday morning as they came in from cabins and tents to have breakfast by a roaring fire in the lodge. Late that afternoon, our dads joined forces for a barbecue of epic proportions. 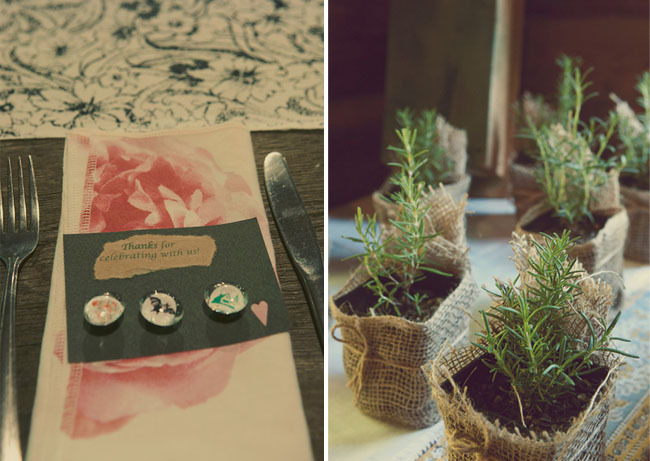 All of the wedding décor was DIY. I got to spend wonderful afternoons with my mother-in-law as we sewed napkins and table runners from vintage fabric I’ve been collecting (hoarding?) for ages. All of the flowers were grown, picked and arranged by family members and the bright pinks and oranges of late summer dahlias looked beautiful in blue glassware that my mom and I combed the local thrift stores for. My husband Cameron built our pie stand and made vases out of wood and test tubes (another nod to our shared love of science). LOVE that vendor list. 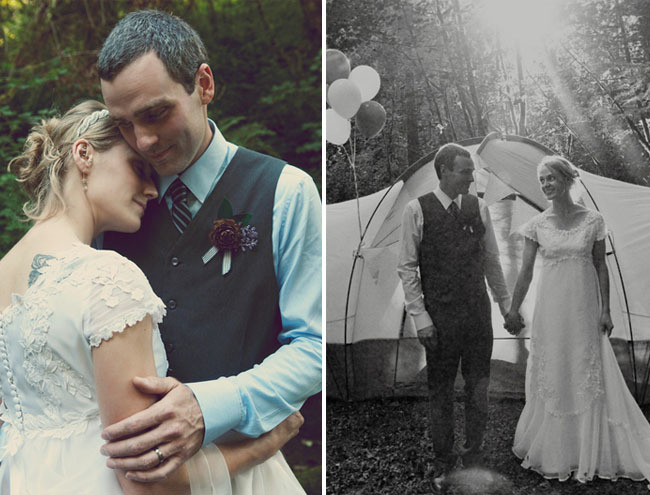 Now that’s a camptastic DIY wedding. Really lovely and it looks like only what was necessary had money spent on it. Totes a Michigan gal. 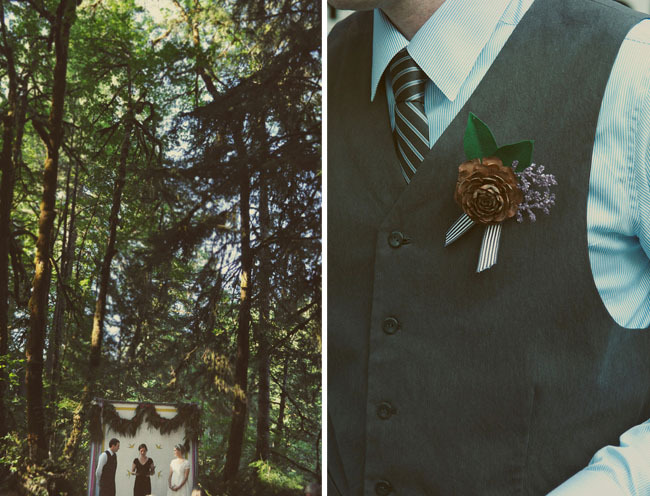 this wedding is just to die for!! 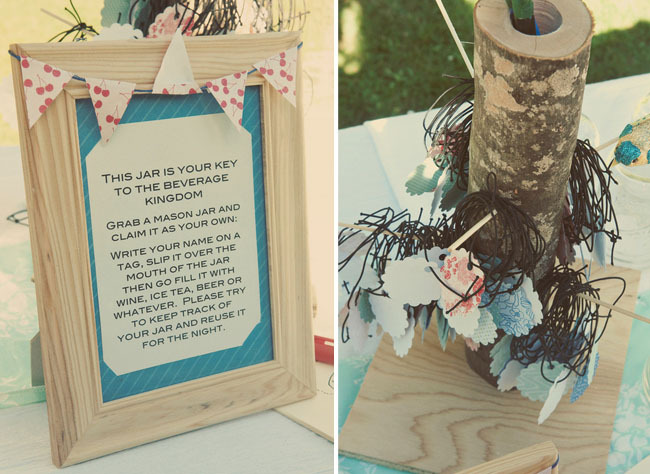 i love all of the fun activities for guests to do during the reception! 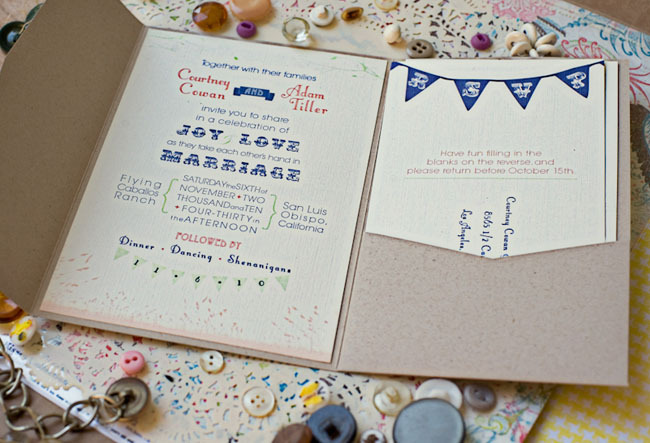 i am too in love with the invitation suite…and the unmarried peeps flags! so creative!!! Whoa. I went to a girl’s camp at Camp Lane way back when. Gotta say, it looks fabulous as a wedding location! So gorgeous and SO Oregon. Congrats! love the flags and what a cute venue! oh JEEZ, the photography…it’s so breathtaking and wonderful! i absolutely love it! 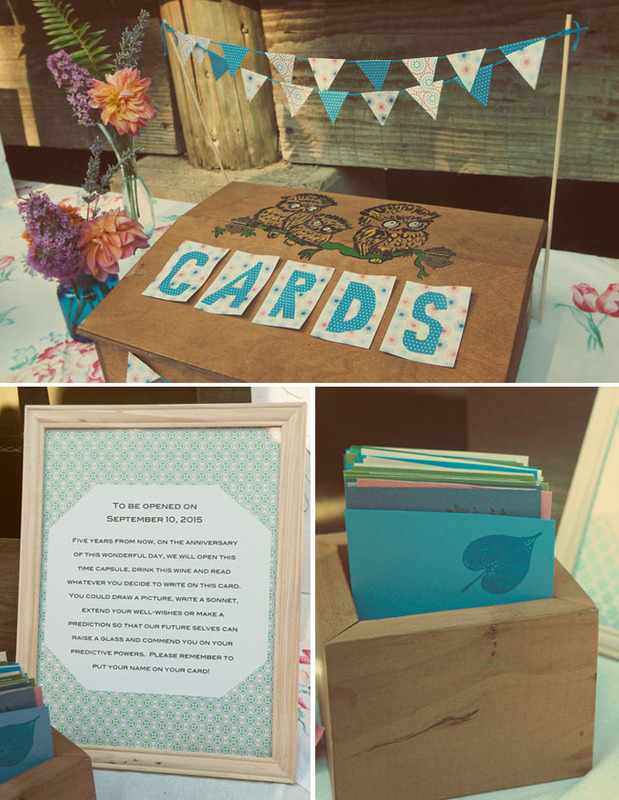 their invitations are WAY cute as well! @Stacia: It’s definitely worth a call! Don’t be dissuaded by the rules listed on the website. 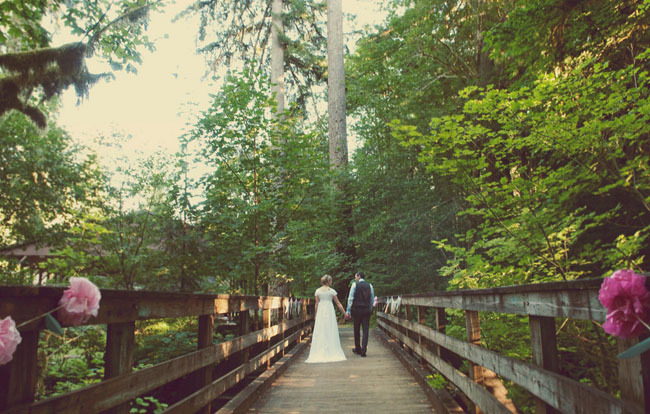 It was a really beautiful place to be married (and a really fun place to spend a weekend with all of our family and friends). Also: our vendors were amazing! Kelty at Steep Street is a PHENOMENAL photographer and a joy to work with (definitely check out her website). Molly at Paisley Quill is creative and talented and super sweet. I gave her some basic guidelines and information and she came up with the rest–that awesome timeline was all her! Finally: It’s not listed, but Cornucopia catered our dinner on Friday night and did a great job. 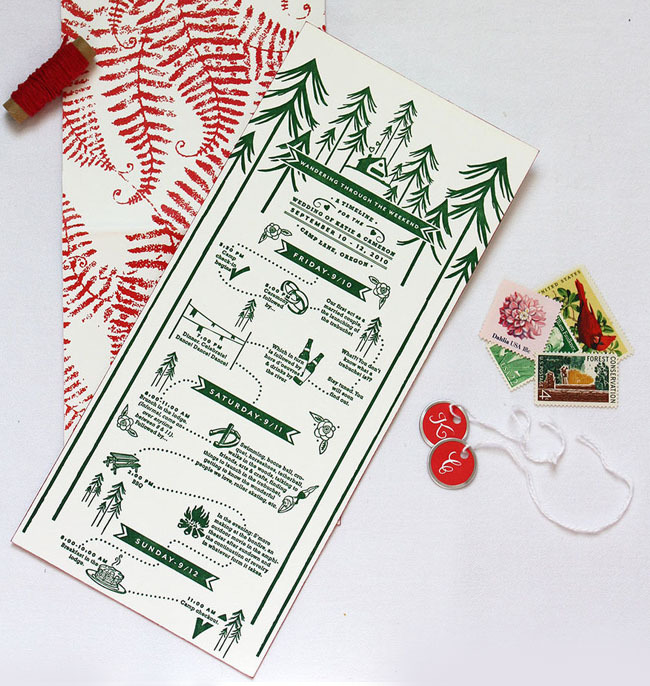 Is there anyway for me to be able to view the full image of this wedding invite? I am in LOVE with this timeline idea! I can’t view the font and would love to be able to view all of the wording. What a great idea! Thanks! 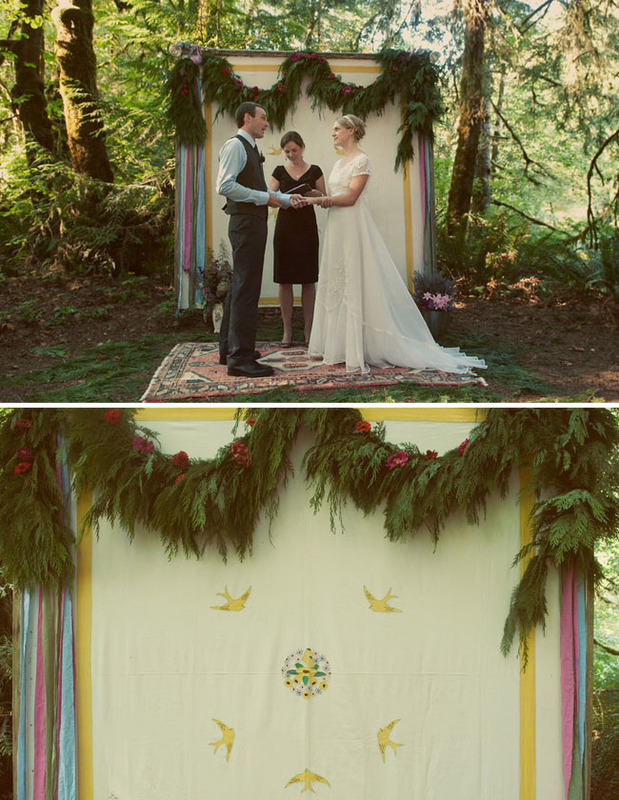 Awesomely personal wedding! I love the catapult! And anything shot by Kelty always looks magical! Great invitations! I love little details like the red edge of the paper. Well done. I’m in LOVE with everything about this wedding. Such great ideas. Love the bouquet toss, LOVE the idea of days of festivities too! Awesome! Thank you for the wonderful feature, Jen! I really loved Katie’s write-up, too. I had a truly amazing time at Katie and Cameron’s wedding and have finally posted more of the photos on my blog here! 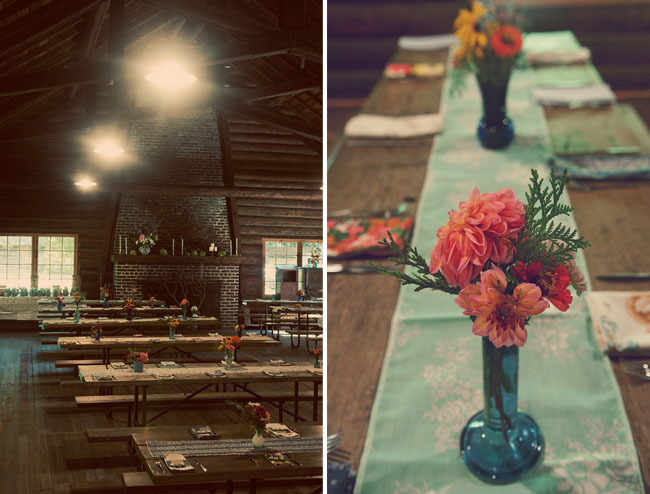 we are thinking about booking camp lane for our event next summer (because this one looked SO great). how did you handle sleeping arrangements for those not so excited to camp? how did parents and grandparents fare? would you have done anything differently? 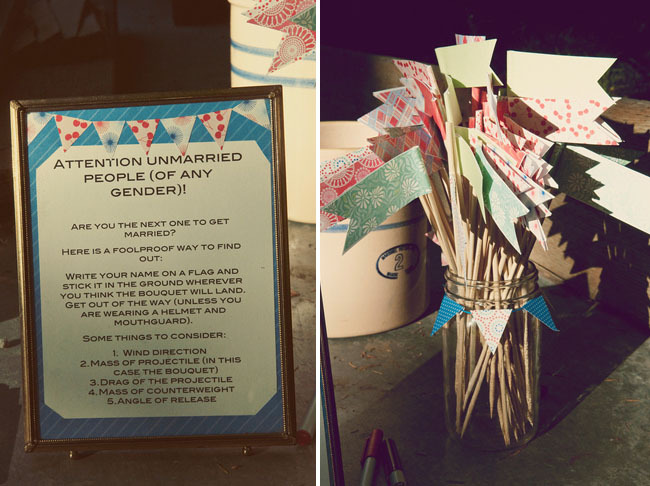 I want to marry this whole wedding idea! Brilliant. Love, love, love all of this! They should give themselves a great big pat on the back because that is truly astonishing! Who did the catering on Friday night? Everything is so beautiful!